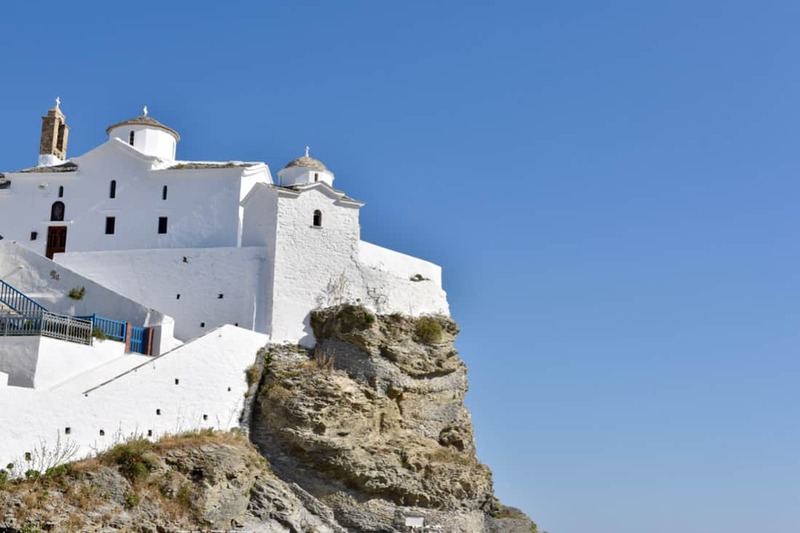 The church of Panagitsa of Pyrgos (Tower Panagitsa) is the picturesque white chapel you see when entering in Skopelos harbour. 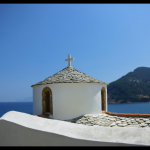 The church is also known as the Presentation of Virgin Mary or the Church of Holy Mary. 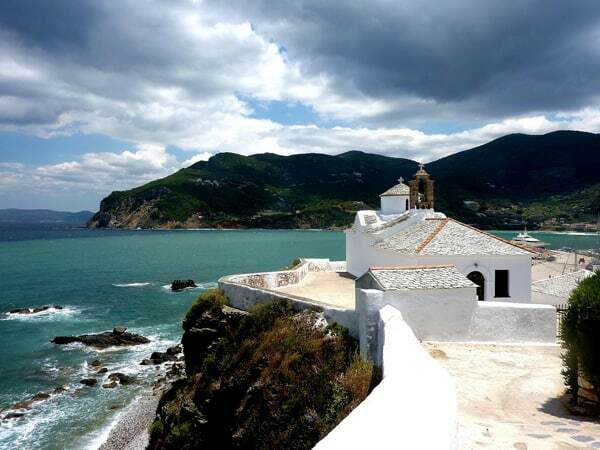 Actually is the most outstanding Church of Skopelos Chora. 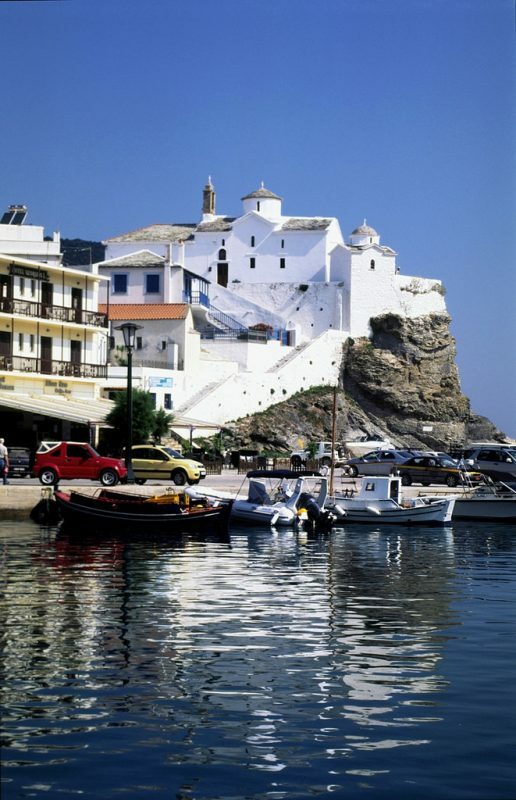 This small church on the end of the old port of Skopelos, is the trademark of Skopelos Town. 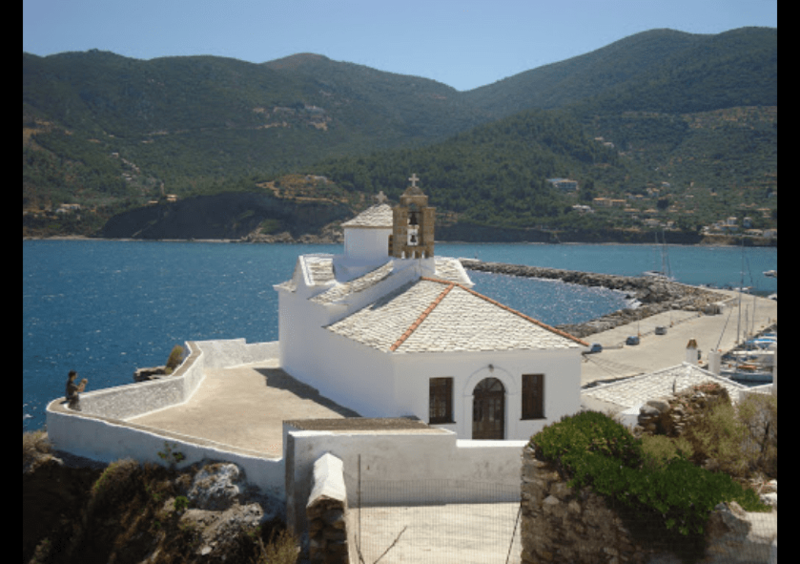 Access to the Church of Panagitsa Tower, on the edge of Skopelos Town, is relatively easy. Although you will climb some stairs (approximately 70 steps) the path is enjoyable. 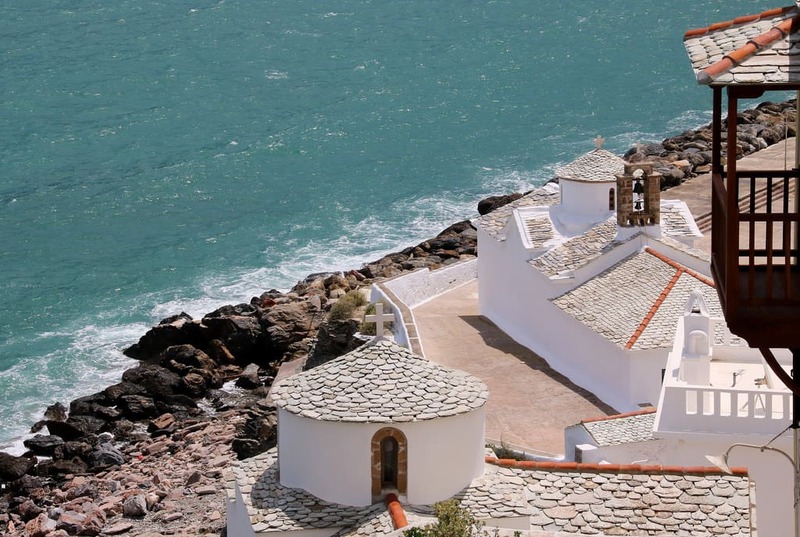 Aegean air will enchant you. The stunning view will just take your breath away. 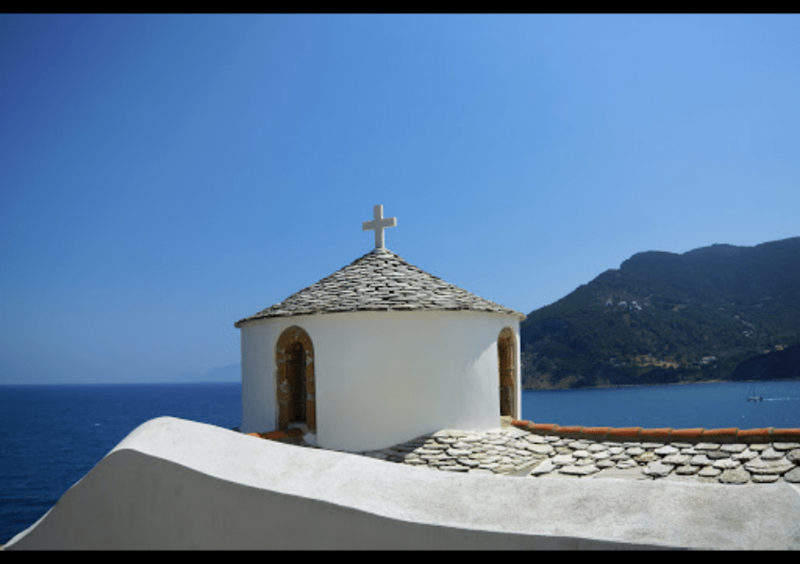 In fact, the most impressive part of this church, is the incredible view you get. 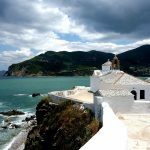 From one side you are admiring the Aegean Sea and from the other side Skopelos Town. 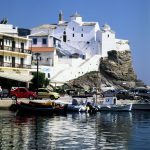 At the end of the day, just before the night, you can clearly see the moon glimmering on the water and the lights from Skopelos Town twinkle like small candles. 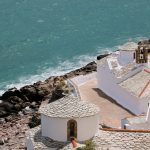 Many people, that have already traveled in Skopelos, claim that not visiting the Church of Panagitsa of Pyrgos is a sin. 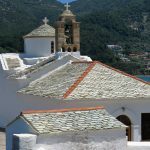 The interior of the church of Panagitsa of Pyrgos in Skopelos Town is equally impressive and beautiful with the whole landscape. The temple of the church dates back to the 17th century. Inside the church you can admire icons from the 18th and 19th century. 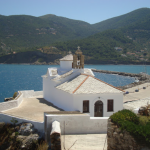 Next to the church of Skopelos Panagitsa of Pyrgos you will find a picturesque small temple, which is dedicated to the Saints Day. 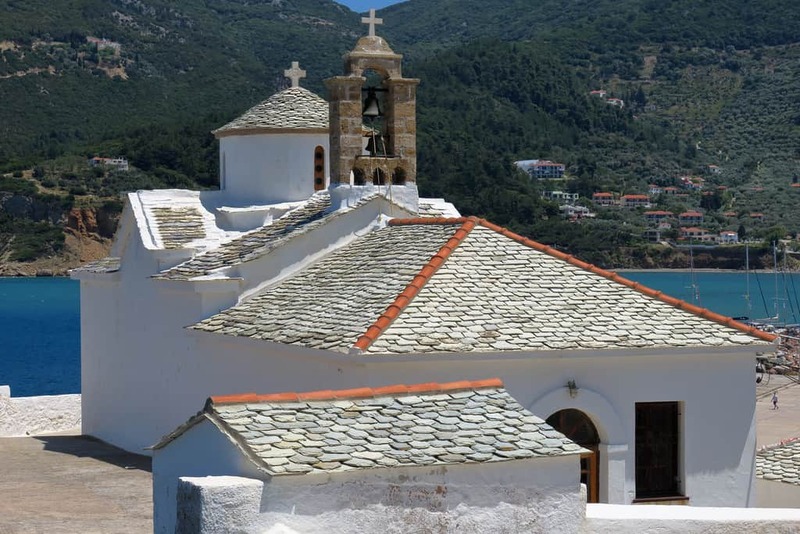 Many people, from all over the world, prefer this marvellous church, on Skopelos island, to get married or to baptize their children.